A good name is better than great wealth, and good fame is better than silver and gold. Everything is very difficult and ambiguous in this life. Every person lives, communicates, makes mistakes corrects them. And every step effects on the external opinion about us. So how to be an ideal one? How to have a nice and perfect reputation in various areas of your life? How to live and to please everyone? For sure each of us thought about these questions at least once in his life. Reputation – is something that you cannot buy with money , something you can not get by using tricks. It – is the key that will open a lot of locked doors in our life. But at the same time year by year the word “reputation” comes closer to the category of frequently used words – sometimes we talk and write about it often, without thinking what is behind it. In general, any definition of reputation sounds vague and not full enough. This is related to the fact that very often the definition torn out of the situation is conditional, because there always will be a multiple view for the same object. Reputation – is an opinion, which is made bout a person during his life and activity. 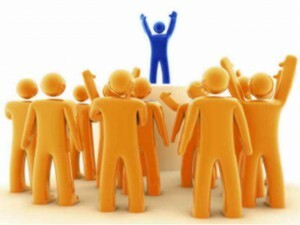 Man uses reputation as a tool which he can use skillfully or not, which can be destroyed or improved, as well as a indicator, in the sense of criterion that will display the result of activity or inactivity. Only the person on his own can decide what reputation is needed for his or her life. Reputation is like an important document in which you will never be able to modify, erase or correct. Every step, every action that a man makes will never disappear. Therefore it is important to take care of your reputation. For example, people with professions such as politicians, teachers, doctors and stars are constantly surrounded by many people, and it is important for them to be better, honest, intelligent, sincere and fair. If they will not have these features, they will lose people’s trust and good reputation that will be difficult to recover again. But we must remember that people with clean and perfect reputation don’t exist. Each of us goes his own way and succeed with their own methods, using certain techniques and tools. One person can have different reputations, for example, a man can be a wonderful doctor, but monstrous son, brother, husband or father. Such a person can have a wonderful doctor’s reputation, which is recognized by people who are grateful for the help and pray for his health. At the same time among the family and friends, he will have a reputation of a shameful and terrible man who has lived only on his work and never engaged in the growing up of his children and family issues. It is important to remember that it is impossible to be a good person for everyone. The opinions about a person may be different. For someone, you will be nice, beautiful and perfect. The other ones, at the same time, will consider you to be unworthy and untalented. Besides without knowing who you really are. Therefore, we must understand and remember for ourrselves who we really are. Many people literally paralyze their capacity and desire in getting their own purposes because of the fear of opinions of other people. Many good people stopped or gave up just because someone does not speak or think good about them. Therefore, one must know that reputation is not a determinant of how much can he achieve and how successful can he become. A special type of reputation is the so-called stained reputation. When flow or deliberate disclosure of information that ashames and oppress people, it is called a stained reputation. Normally such kind of information comes from the competitors. In the majority of cases this involves the disclosure of false information, ambiguous, compromising information to ashame the name of the person conceived. In order to restore the good reputation you need to know a range of appropriate measures. These measures include applying to the court, defending his reputation in the judical order. Next set of measures is spreading of positive information about this person. We must livekeeping in mind that we are constantly surrounded by attention. What world lives just because we live. Society lives only because people live. Sometimes society and people in society are cruel and unfair, sneaky and dishonest. Weaker people have to fight for their reputation more but nothing is impossible, you have to be confident and brave. You have to understand the price of your life, your personality, your behalf. Even the best reputation can be broken as ship on the rocks. That’s why while worrying about your reputation, do not forget about your good name – an understanding of yourself, your potential and purpose, how high you want to have your spirit in life, how much are you committed to excellence. So, the reputation – is what the person says or does. This is what other people hear. If a person wants to get from social environment a necessary information – he needs to speak and do what is required from him. Reputation depends on what people will listen from you. A person should decide for himself what he would like to make known about him. What reputation does he need? And work on it every day. Man must give such information about himself, which will be useful in his life, but should not forget to support it. And do not forget that it is impossible to please everyone. This entry was posted in Mental on 26/03/2016 by Mary.